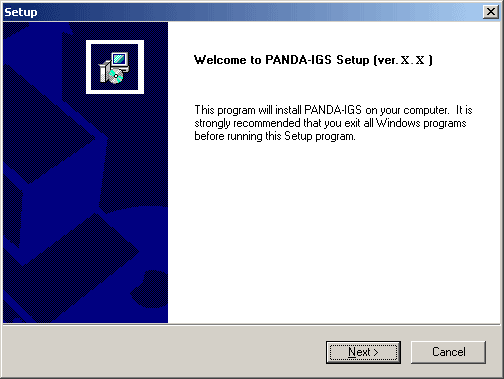 The Panda-IGS client is one of several Windows based graphic interfaces for use with IGS PandaNet. Panda-IGS can also be used with the IGS-PandaNet Mail Magazine. Before you can begin, you first need to download the Panda-IGS Setup program to your computer. Download the Panda-IGS Setup installer from http://www.pandanet.co.jp/English/setup/index.htm.